The summer festival is the culmination of the “Parcours-Mission” (Mission-Journeys). It is part of the Year of Oblate Vocations. 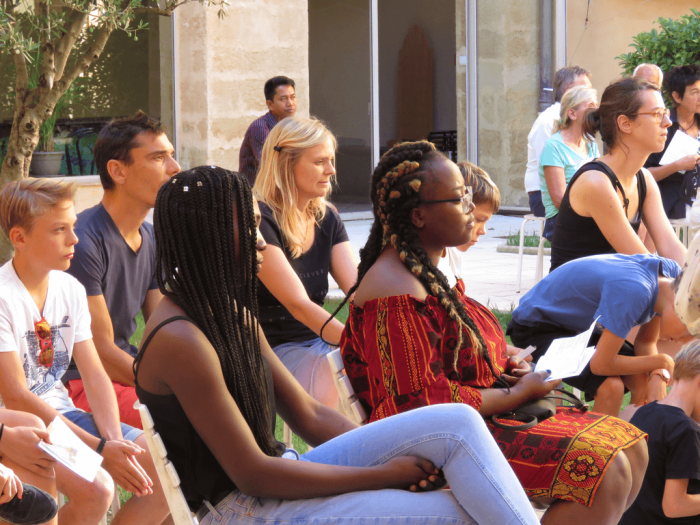 It is organized by young people linked with the Oblate community of Lyon and that of Aix-en-Provence. It is conducted together with the Oblate scholastics. It is a missionary activity lived in joy. 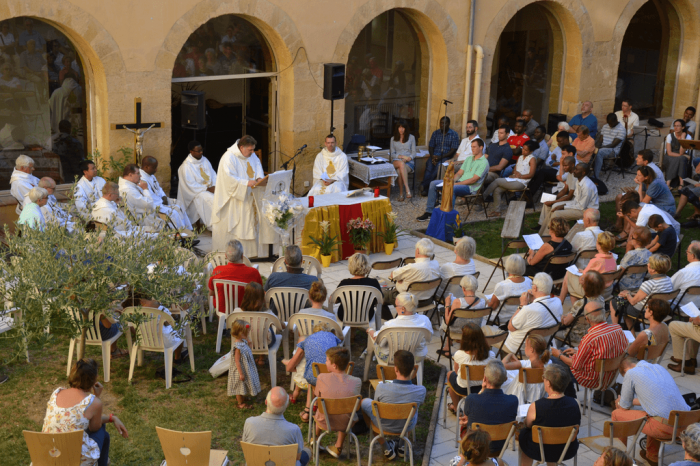 For several years, the Oblates of France have been offering young people in search of their place in the Church a formation in Christian life and Oblate Charism. Thiscourse is called the “Parcours-Mission”. It is given during three weekends lived at the House of Chavril located in Sainte Foy-Lès-Lyon. The summer festival is a missionary activity organized by the participants of this course. This time, the summer festival is part of the year of Oblate vocations which has for the theme « The joy and generosity in the Oblate life ». It is in the availability for the mission that we find true joy and fulfillment. The young organizers of the festival make their first experience. 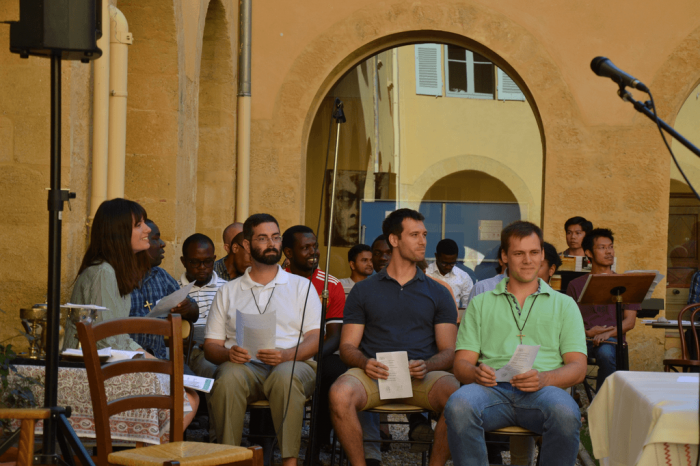 The meetings and the sharing during this festival are enriched by the presence of Scholastics who study theology in the Oblate formation houses in Poland, Italy and the United States. A true fraternity that crosses beyond the geographical boundaries is happening here.